Softlips lip balms / Gee Whiskers! 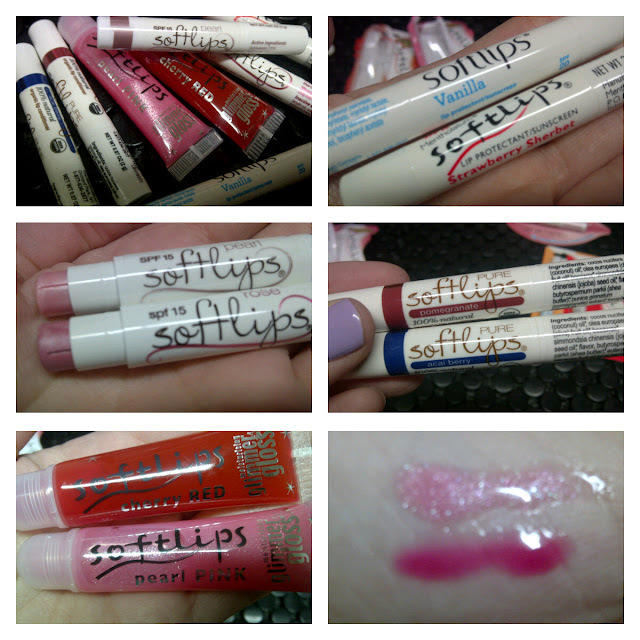 A while back received some Softlips lip balms from Beauty South Africa to review. I have been using Softlips for many years now, my favourite being the French Vanilla. It's the one balm that I always keep around. My favourite of these is the Red cherry because I love the Cherry scent. The red colour is perfect for summer time and adds a beautiful red glossy shine to your lips. The Pearl Pink has a watermelon scent and has added shimmer to it. It's pretty feminine pink that as with the red Cherry, is light wearing and not at all sticky. The gloss has incredible moisturising capabilities with the added benefits of anti-oxidants. I love both of these scents. As already mentioned the Vanilla is my favourite and I love that these balms have an SPF of 20. It's perfect for summer time. The lip balm wears light on the lips and moisturise incredibly well. The moisturising effects last well for a few hours and doesn't need to be continually applied every hour. I also really love the refreshing menthol feeling on my lips when applied. I have bought both of these previously and actually carry around the Pearl in my handbag at the moment. These lip balms are beautifully tinted and add a nice natural sheer tint to the lips. These balms have an SPF of 15 that makes it great for day time wearing. As with the non-tinted lip balms they have menthol that is refreshing to the lips. These tinted balms are perfect for those who don’t really like wearing lip stick but want to have some colour. It is also a lot more affordable than many hydrating lipsticks. I actually didn't even know that Softlips had a range of organics lip balms. These lip balms do not have any SPF in them which makes them perfect for evening and night time wear under lipstick. The lip balms have organic oils and only organic ingredients. There lip balms don't have any menthol sensation on the lips but are equally as moisturising as the other lip balms. These products are in my mind better to use because they are greener and the more natural ingredients mean they are better for our bodies. The only thing I wish they had was some sort of sun defence. I love the packaging of all the balms sent to me and I especially love the scent of all the products. The balms all apply very easily and feel soft and light on the lips. All in all, I'll definitely continue to purchase these balms along with my favourite French Vanilla. Join the Beauty South Africa Website and follow them on Twitter and Facebook. I love Softlips, I have two at the moment - the tinted pearl and a fruit cocktail scented one. The fruit cocktail one sounds amazing! Before going organic, French Vanilla was my FAVOURITE! Yes, the French vanilla is amazing. They managed to capture a great balance in the scent because often many brands make the vanilla scent too sweet and it becomes overwhelming. I think it's a scent that everyone will love!